Alberta (historical) snapshot: Rundle Ruins. Like most western Canadian cities, Calgary isn’t truly old. The North West Mounted Police established a fort here in 1875 (it was called Fort Brisebois for a year, upon which the name was changed to Fort Calgary). Calgary was incorporated as a town in 1884 (population 506) and as a city ten years later (population 3,900). Alberta wasn’t even a province yet – that didn’t happen until 1905. Calgary’s population now hovers around 1.25 million, and up until the recent recession hit, the city was bustling with new development. There aren’t many significant ruins here – particularly of a late 19th century building. The Rundle Ruins are the sandstone remains of the second general hospital, completed in 1894, and in operation until 1954. You can read more about the hospital’s history here, and find a list of the city’s designated heritage sites here. What types of historical sites are notable where you live? Which ones are your favourites to visit? This entry was posted in Photography and tagged Alberta, Calgary, Canada, City, Heritage, Heritage sites, History, Hospital, Rundle Ruins, Urban living. Bookmark the permalink. 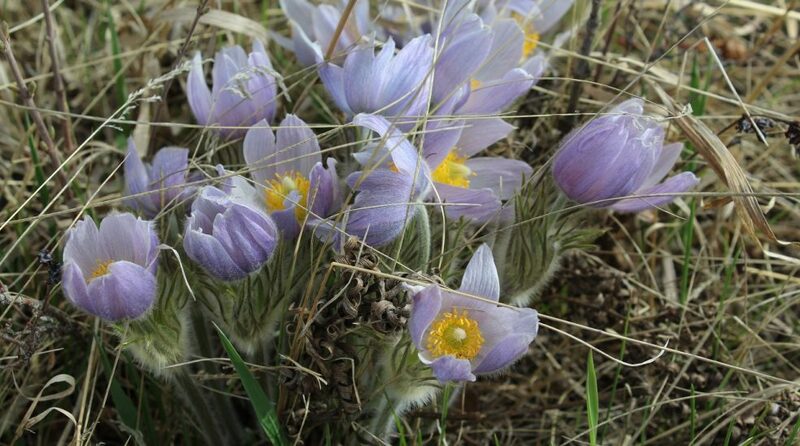 ← Flowery Friday, April blog fun – and a Book review: Mother Earth News Almanac. Not many ruins in Maine—only a few old forts. Oh, England and Ireland! And Scotland and Wales, too, I bet. Finally, I so enjoyed learning about Alberta and Calgary. Some old fort sites here, too, but nothing really left of them any more. (Reconstructions in some cases). I’ve never travelled to Europe but I sure would love to see all that old architecture…. Oh, yes! I’ve been to England, and all that they have is a wonder to behold. We have plenty of ancient monuments near us, but I like to view them in the landscape rather than from inside. Strange to think your city is still so young! The settlements all around us go back to the Middle Ages and before! I live in a place where anything from the 1960’s is old! Further west are Spanish Missions, including the most famous Alamo, that have held up well. I like the missions better than the Alamo. It is interesting to read of the ruins in the ‘New World’ from my home in the ‘Old World’. It is just a matter of perspective isn’t it? There is a ruin about half an hour’s walk from my house – part of an old Saxon minster that probably wasn’t ever finished. I enjoyed reading about the ruins of that Saxon minster – fascinating! Thanks so much for sharing the link, I love learning about these things.